Why is the Tiffany’s box a trademark blue? And why is it more coveted than the actual contents? It was in 1878 that Tiffany & Co.’s Blue Book catalogue acquired its first cover in the particular shade of blue that’s now come to be known as Tiffany Blue. Variously described as ‘forget-me-not blue’ and ‘robin’s egg blue’, it was handpicked because of the popularity of turquoise gemstones in the 19th century. Turquoise was also a favorite of Victorian brides, who usually gave their attendants a dove-shaped brooch set with turquoise so that they would not forget the occasion – a detail that was not lost on Charles Lewis Tiffany, who founded the brand as the pinnacle of wedding luxe. At the beginning of the 20th century, the venerable jewellery house trademarked this cult shade and it now bears the same number (1837) on the Pantone Matching System as the year Tiffany was founded. More than a century later, the “little blue box” remains an international icon, whispering romance and sophistication, and inciting bidding wars on eBay from collectors who sometimes value the packaging more than the contents. 1. Pantone makes the blue-coloured paper for all Tiffany’s packaging materials. 2. The white satin ribbon that is tied at the counter is another de rigueur for all Tiffany’s boxes. The only time it’s replaced is during the holidays, when Tiffany’s uses a red ribbon for the festivities. 3. The brand’s name is embossed in Baskerville Old Face. 4. During the shooting of Audrey Hepburn’s Breakfast at Tiffany’s, the store posted 40 armed guards on the floor to prevent its blue boxes from vanishing! 5. 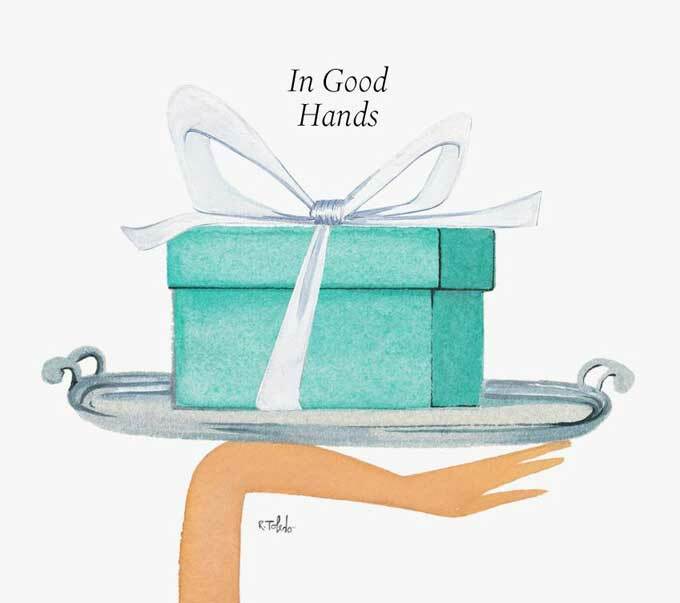 The Tiffany’s blue box has even inspired actual pieces of jewellery (like this pretty charm) – not to mention the innumerable nail polishes, desserts, wall coverings, fashion collections and decor objects. Own a Tiffany’s blue box? Want a Tiffany’s blue box?